Spring Special! 30 Min-Micro Portrait Shoot with Images! 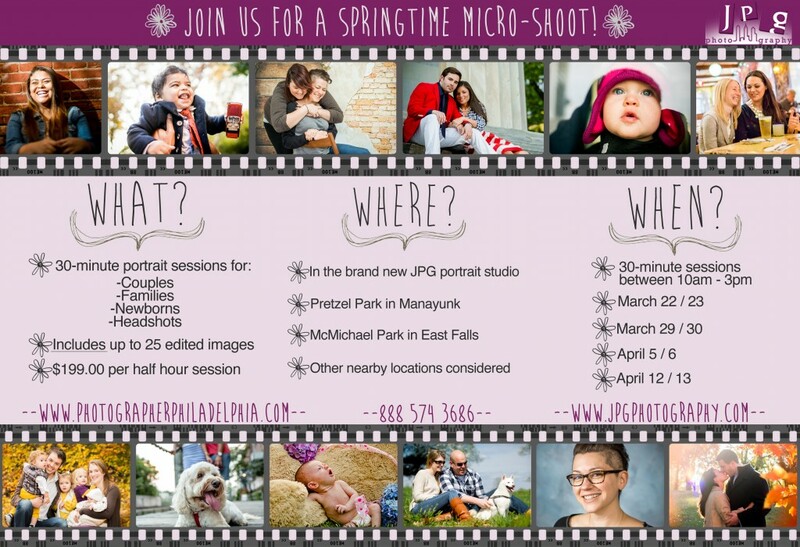 With Spring finally here, we are offering a 30-min micro portrait session special that includes images! The special is open to all subjects and is perfect for family and maternity shots, senior portraits, head-shots or even a short engagement shoot. We are so excited to announce the unveiling of our in house portrait studio!!! We can always come to you, but now you can come see us too! We look forward to having you!